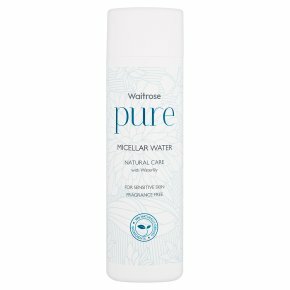 Micellar Water Made with waterlily to help soothe and calm even the most sensitive of skin. Gently cleanses and cares for skin, lifts away make up and impurities to leve skin feelinf soft, refreshed and revitalised. Dermatologically approved. Suitable for vegans and vegetarians. Paraben Free. Sulphate Free. Suitable for Sensitive Skin.